Hotel Dine 11 is the perfect setting for you to begin and enjoy your journey. To enjoy the panorama of culture, stay with Hotel Dine 11, Udaipur. In the beautiful Lake city, Hotel Dine 11 offers you clean and comfortable accommodation. Our Economy Hotel is newly constructed and elegantly built. The hotel offers you proper ethnic surroundings and traditional interiors. It has a 24 hours room service and Indian and Chinese food Restaurant. Hotel Dine 11 is one of the premium business hotels in Udaipur and located in the heart of the city. 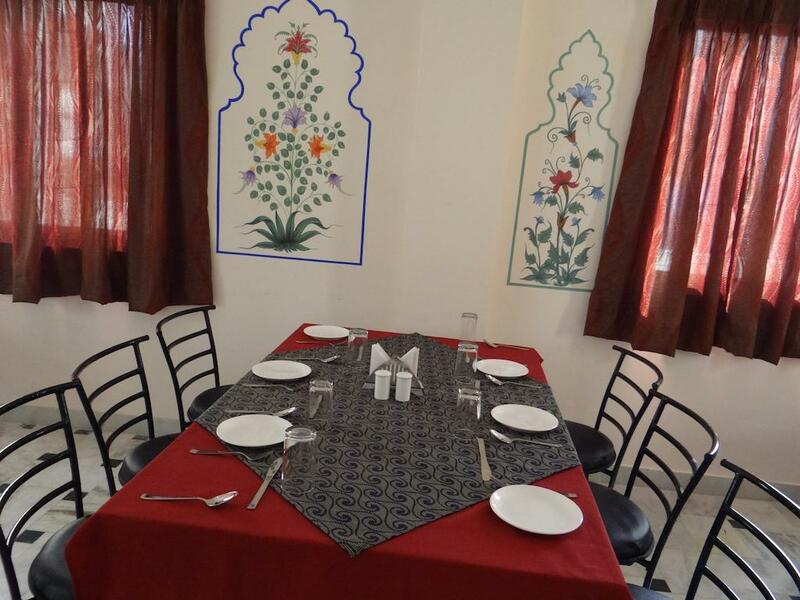 Hotel Dine 11 Located close to railway station (1 KM) and bus Stand (1 KM). All tourist attractions are very easily accessible to our hotel. Parking, Baggage Storage on Request, Disabled Facilities, Smoking Rooms, Travel Counter, Safe Deposit Box-Front Desk, Internet/Wi-Fi, Restaurant, Family/Child Friendly, RO Water Purification System. Child Care, Window Opens, Iron/Ironing Board, House Keeping, Balcony / Terrace, Dustbins, Air Conditioning Room, Attached Bathroom, Refrigerator Room, . User reviews for "Dine 11 Hotel Udaipur"